Fortune Auto Muller line of suspension components are the result of a joint development team of Fortune Auto engineers and Muller suspension specialists. 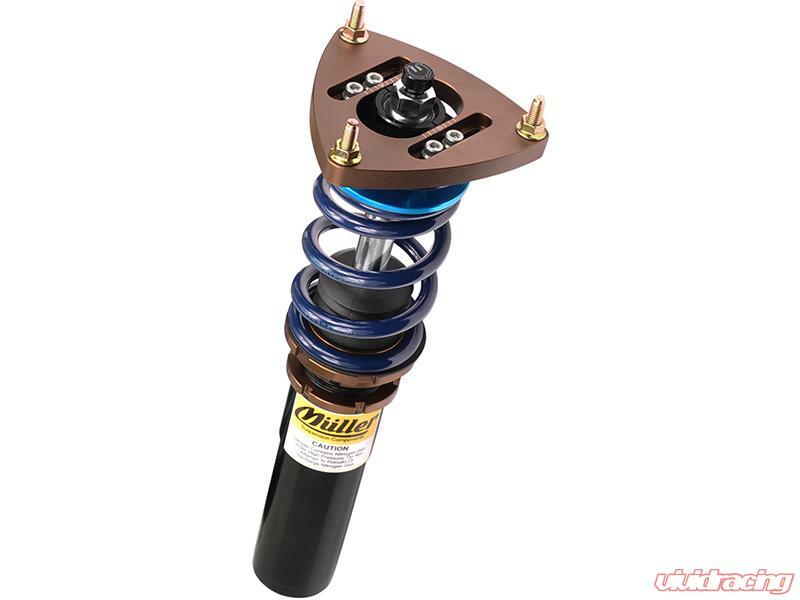 All Muller suspension systems are designed with maximum performance and ride quality in mind. 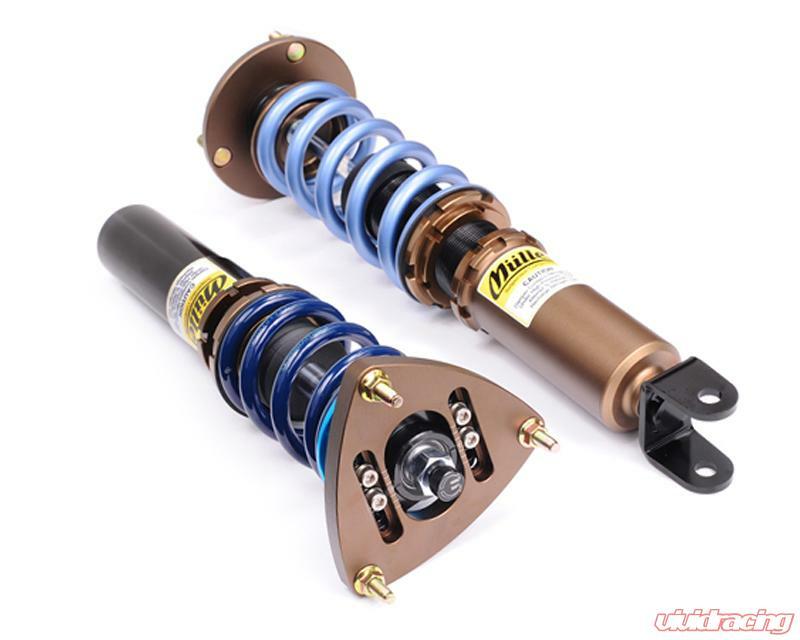 Muller suspension systems are truly bespoke utilizing industry leading maching methods and materials. Muller products are proudly built in the USA to the highest standards. The delicate science behind the strength of piston shafts can be difficult to perfect. Through extensive research and development, Fortune Auto has been able to achieve and optimal balance between shaft hardness and malleability to ensure safety and performance. Utilizing in-house engineers, Fortune Auto has been able to reinforce brackets and mounting points for more rigidity and strength. Most applications will include OEM brake line tabs welded directly to the lower mounts. This provides the end user with a cleaner and safer installation. Digressive piston technology allows for tremendous amounts of low speed force that translates driver inputs into razor sharp control. Futhermore, the force "blows off" to provide the driver with a supple compliant ride while maintaining superior mechanical grip over rough surfaces. Fortune Auto Products are made to order. Please allow 3-4 weeks for delivery. Fortune Auto develops race-winning suspension systems for Japanese and European vehicles. The advanced suspension technology found in Fortune Auto dampers is derived from successes in World Challenge, Redline Time Attack, Formula Drift, and NASA racing series. Fortune Auto is one of the few US based suspension companies that actually inspects, assembles and services shocks in the USA. Their shocks assembly and service center uses a state of the art Roehrig 2VS shock dyno that helps us calibrate and match new chocks. Fortune Auto also utilizes dyno testing in their development of new products. The Virgina facility allows Fortune Auto the ability to prototype and test new applications and products before they go into production. Fortune Auto offers a diverse range of suspension solutions for a wide variety of purposes and applications. Every shock that leaves their workshop is fully hand-built to each client's requirements. All dampers are designed, assembled, tested and meticulously quality controlled in-house. Fortune Auto mission is to provide their customers with outstanding quality products and services that only top-tier racing teams have access to.